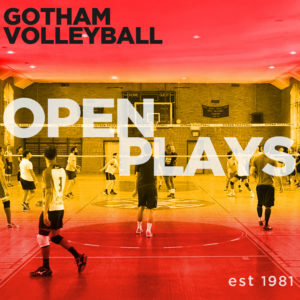 After the completion of the Fall Season, Gotham will offer Open Plays for players who were in Divisions 1-4! The Open Plays will be held at Rustin, at the same gyms and on the same night as Division Play. Division 3 & 4 Open Play will be held on December 12th and 19th. Division 1 & 2 Open Play will be held on December 20th. Registration opens on this page each preceding Friday at 12 noon. Location: TBD – Either Bayard Rustin Educational Complex (351 W 18th Street) or O. Henry / Lab School (333 W 17th Street).